The cruising capital of the world, Miami is not just a major turnaround port, but also a fascinating destination in its own right, with a plethora of food options, water sports, museums and other tourist attractions. And while the traditional image of Miami is one of white buildings, palm trees and bikini-clad women, in reality, it is a multi-cultural hotspot where the Latin American community have changed the city into something much fresher – and hipper – for the global stage. All of this, and much else of what makes Miami a world city today, can be traced back to Henry Flagler, an American industrialist who was instrumental in the development of the Florida East Coast Railroad. By extending this south from West Palm beach, he helped to create a buzz and excitement, and in turn, economic development, planting the seed for the modern-day Miami. PortMiami is the largest passenger port in the world – with seven terminals catering to countless ships and cruise lines. The port’s latest statistics report shows 1,185 cruise ships docked and over five million passengers passed through the gates. PortMiami is home a number of cruise lines, including Carnival Cruise Line, Celebrity Cruises, Disney Cruise Line, Hapag Lloyd Cruises, MSC Cruises, Norwegian Cruise Line, Oceania Cruises and Royal Caribbean International. It is surprisingly central for such a large port – but due to the sheer size of the place it is still recommended to catch a shuttle or hail a cab into the city centre. Miami Beach: There’s, perhaps, no more famous beach in the world than Miami Beach – give or take a Copacabana – making it a huge draw for visitors to Miami. There’s much more to Miami Beach than just sand and sun but, of course, that is one of the main attractions. Take a stroll down to South Beach and visit the shops, bars and clubs, as well as its art deco architecture. Spanish Monastery: This one has an interesting back story. Originally built in Segovia, Spain, in 1141, the Monastery Cloister in North Miami Beach is reportedly one of the oldest buildings in the western hemisphere. In 1925, newspaperman William Randolph Hearst brought it, dismantled the building, and transported it to the USA where it was later reassembled. Biscayne National Park: This park – the largest marine park in the USA’s National Park System – is just south of central Miami but is well worth the visit. Now over 100 years old, it is popular with divers (approximately 95% of the park is water) for snorkelling and is home to over 500 species of reef fish. A nice change of pace to the bright lights of downtown Miami. Ghee: Indian cuisine has probably benefitted most from modern cooking trends – as it proves in this popular, trendy downtown restaurant with its clever twists on old classics. Joe’s Stone Crab: The stone crab season runs between May and October and if you find yourself in Miami over that time you have to visit this legendary seafood restaurant. The Bazaar by José Andrés: Miami’s Latin heritage means they know good Spanish cuisine when they see it – and it doesn’t get much better than The Bazaar from acclaimed chef José Andrés. Brickell City Centre: Spanning three blocks and with well over 100 stores, Brickell City Centre is a colossal shopping centre with something for everyone. Sunset Harbour: Head to South Beach and check out all the boutique shops in Sunset Harbour – it almost has an Italian vibe to it. 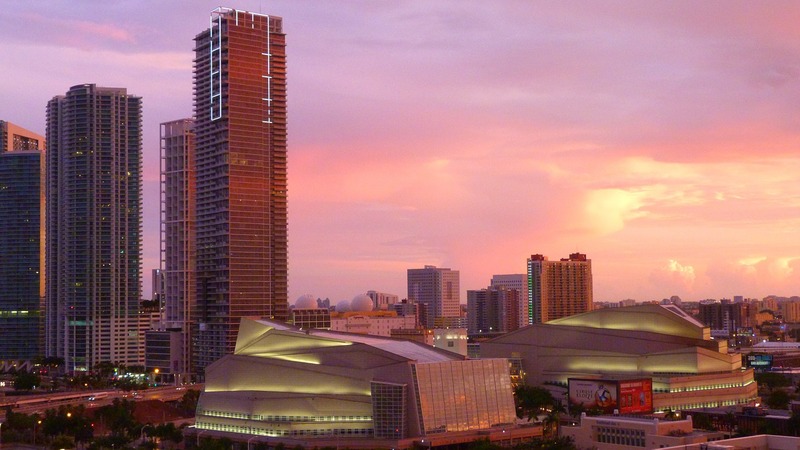 Aventura Mall: Brickell City Centre not big enough for you? Then head to Aventura Mall which – with over 300 shops – is the largest mall in Florida. While English is the main language, plenty of residents speak Spanish, indeed, Miami has been called the capital of affluent Latin America.